Before we proceed any further into learning SEO, we need to get accustomed with some of the most essential and fundamental SEO terms and definitions. Without knowing these terms and their concepts, it would be nearly impossible for us to move ahead. There are lots of terms related to SEO and it can take several articles to discuss all of them in detail, so we would concentrate on understanding the most essential ones. Instead of just defining what each of them mean, I would try to make you understand the underlying concepts behind each of the terms. You have lots of new and interesting things to learn in this and the very next article. I recommend you to bookmark or archive this article because there are lots and lots of new terms mentioned all over the article and you may (or will) need to read this article several times to grasp all of them and their concepts perfectly. Backlinks are technically known as hyperlinks which links one webpage to the other. It can come from any external site to yours or can go from your site to some other. Backlink is one of the most fundamental unit of SEO which act as references or votes or trust flowing from one website to the other. To understand in the most simple way, a backlink that you achieve suppose from ABC.com, implies to the search engines that ABC.com trusts your site and is voting for you, which in turn increases your own trust and authority in the eyes of the engines. But quality overpowers quantity in this context of gaining backlinks. Getting 1 or 2 high-authority backlinks is a much better and wiser choice than getting 100+ low-quality ones. 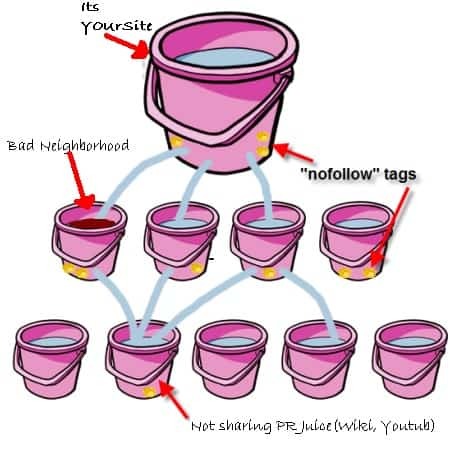 Nofollow is another very important attribute that you need to understand in this context. It’s like a piece of code embedded inside the hyperlinks which tells the search engines not to pass any trust to the linked website. If the site that you want to link to have some questionable content then you may not want to pass a vote to that particular site, then the “rel = nofollow” attribute is your only friend. There is a misconception among many webmasters, with a closely similar concept known Dofollow. May people make the mistake of using “rel = dofollow” just like “rel = nofollow” of the previous case. But “dofollow” is nothing but a concept and there is no physical attribute available for it to implement. The absence of “nofollow” simply indicates “dofollow”. Another thing that you need to understand in this context is Anchor Text which is nothing but the clickable text in the links, with a vast importance in SEO. It is known to pass a very strong signal to the engines and helps them in understanding what a particular link (or vote) is all about. It invites the idea of another intriguing and important concept of, Anchor Text Diversity which would be discussed in detail in the later articles coming in this series. 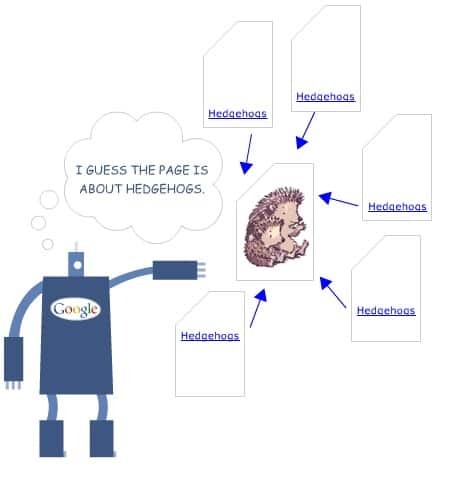 PageRank is Google’s way of understanding the popularity of a particular webpage. It’s a numeric value starting from 0 to 10 assigned to every webpage which are present in Google’s index. Zero signifies that the page have not been crawled or ranked at all. 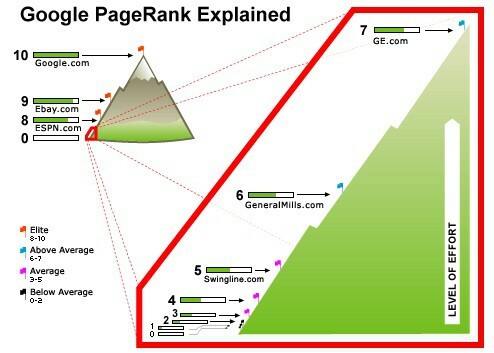 The PageRank series is a logarithmic series, which simply means that it is tougher to go from PageRank 7 to 8, than going from PageRank 1 to 4. There is a lot of skepticism about PageRank and its working, but there is a community of SEO who talk about Real (or Actual) PageRank and Toolbar (or Apparent) PageRank. The rank that we are able to see is the Toolbar PageRank which have actually got a very little value or importance to the engines. What actually matters to the search engines, is the Real PageRank which is some numeric value ranging from 0 to 1, with long decimal points. While the Toolbar PageRank is updated once every 3-4 months, the Real PageRank is updated several times a day, which also explains the relative importance between the two. The Actual PR is something that Google tries to hide from us, just to prevent people from manipulating the search results using it. So, it is never a good idea to judge a particular website completely on the basis of its PageRank. It’s obviously a good way, but not the best or the only way. Other important metrics like Domain Authority and Page Authority serves to be an excellent way to understand the popularity and authority of a particular webpage or domain, but we would like to dig deep into these terms too in the later articles of this series. 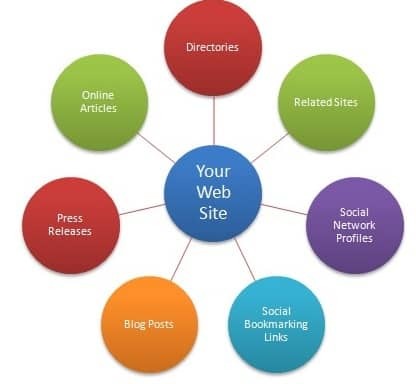 Link Building is the act of practicing actively in creating links for your own website. Many people consider link building as negative SEO (or something that is unnatural). But link building is never immoral or something that the search engines never want. Actually, the search engines encourage link building if it’s done in the right way. If you are doing link building in the most natural way, or the way search engines recommend you to do, then you are practicing something known as White-Hat SEO. 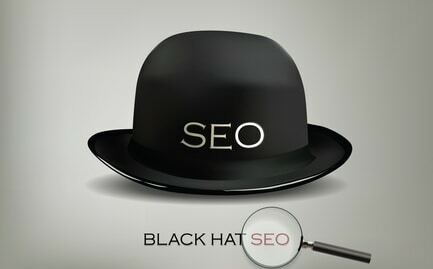 But if you have taken the wrong path intentionally or unintentionally, and is practicing all possible ways of wrongly manipulating the search engine results, then it’s called Black-Hat SEO. It’s up to you to decide what you want to wear – the Black Hat or the White Hat. Now, you also need to understand the close difference between Link Building and Link Buying. Many people are mistaken with the idea of buying links other than building them. This is something that the search engines never want from you. You need to gain or earn links on the basis of your quality and not buy them unnaturally. There are many people who will offer you a good amount of money for getting backlinks from your highly authorative site, and if you get into that path then it’s known as Link Selling. Both Link Buying and Link Selling are considered Black-Hat by the search engines. Other black SEO practices include participating in Link Exchange and Link Farms. Link Exchange involves making a mutual understanding between the webmasters and exchanging links which they actually don’t deserve to gain otherwise. But Link Exchange is not always considered as a black practice, as there can be some natural situations when certain websites can (or need) to exchange links. But don’t worry, the search engines are smart enough to understand whether you are doing it in the natural or not-so-natural way. Link Farm on the other side, is a group of websites which are heavily interlinked among each other with only one intention – to increase their authority or manipulate PageRank. These things were quite effective long back when the search algorithms were not so sophisticated or technically smart. But now these things can get you nothing other than getting you penalized or even completely banned from the search index. After talking so much about the black practices of Link Building, you may demand at least a single method of white-way of link building. Actually, there are so many white ways for us to talk about in the rest of the series but for the sake of curiosity and interest, we would talk about one. Link Bait is a white-hat technique of acquiring links naturally from your own content. It’s a technique in which a piece of content is published with the main aim of grabbing links as many as possible. It can be a written piece of content, or a video tutorial, or infographic or a showcase article like “Top 50” to grab as many links as possible in the most natural way. Search Engine Algorithms are the mathematical formula that the search engines use to find relevant webpages and rank them on the basis of their usefulness and importance. According to Google, they use more than 200 factors in their algorithm. Typically, there is not a single algorithm to manage the entire search department but there are various parts of it each taking care of a particular issue, like Spam Links, Content Relevancy, Content Freshness, etc. There are regular Algorithmic Updates which result in some sites losing their rankings while some gaining a few ranks. You can take the help of a well-maintained document which can give you an idea of when and how the updates happen. There are updates like the Google Panda Update, Penguin Update, EMD Update, etc, where each of the updates takes care of a separate aspect of the search engines. Like the Google Panda update mainly deals about the on-page factors like poor quality content, duplicate content, etc. While the Penguin update mainly focuses on spamming or black-hat activities like Link buying and Selling, Keyword Stuffing and Cloaking, etc. So, we have covered almost all the essential SEO terms related to off-page SEO. In the next article of the series we will explore lots of important and essential on-page and other critical SEO terms and explain their concepts as deeply as possible. There are lots of new and interesting things waiting for you to learn in the next article of the series and you simply cannot afford to miss it. See you in the next part of the series, till then take care and share knowledge. This entry was posted in SEO and tagged Off-page SEO, Search Engine Optimization, SEO Terms, Terminology on August 20, 2013 by Aritra Roy.